We have 9 apartments (from T2 to T4) for you to choose from, running east to west with views over the mountains. At the centre of the village of Cauterets, close to the church, in a quiet street. In the summer, you are in the heart of the Pyrenees, the starting point of all your hikes, mountain sports and your discovery of this region and its strong identity. 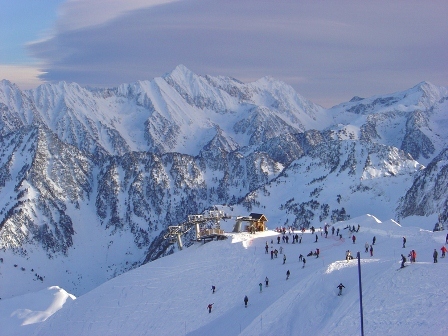 In winter, Cauterets (1,850-2,450 m) is one of pyrenees station with the best snow coverage. All year round, the Cauterets hot springs are an inexhaustible source of flowing with health benefits "les Bains du rocher". We are leaving in this residence and I have a good knowledge of activities and Cauterets so we may answer to yours questions ! Reserve before and after winter ou february holidays to have the best price !! 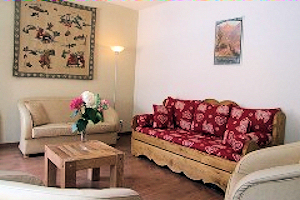 Enjoy your holiday in Cauterets - bonnes vacances! !